SWAN Plumbing, Heating & Air of Denver's plumbers have over 40 years of combined experience and are available 7 days a week to resolve any toilet service related issues you may be facing & all of our toilet repairs, installations & replacements are backed by our 100% Satisfaction Guarantee. We're available 24 hours a day, 365 days a year, to take care of any of your Denver bathroom plumbing needs, including toilet repair. We offer same day service, and are typically at your home within hours of the toilet repair service request! Are you a Denver homeowner in need of a professional, reliable, and trustworthy Denver plumbing company to handle your toilet troubles? 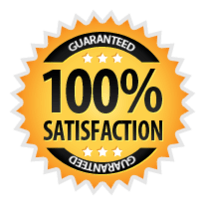 Every job, large and small, is completed with confidence and backed by our 100% Satisfaction Guarantee, from simple toilet repairs to larger toilet replacement or installation in your home. SWAN Plumbing, Heating & Air's Denver plumbers have over 40 years of combined experience and are available 7 days a week to resolve any toilet issues you may be facing! Few people spend a lot of time thinking about toilets, at least not until they need one replacing, or their toilet malfunctions. Instead of dealing with these vital bathroom necessities yourself, call on the experienced team of plumbing professionals at SWAN for all of your toilet installation, repair, and replacement needs. All of our Denver plumbers, who specialize in toilet repair, are industry certified (N.A.T.E. and EPA) and go through an extensive background checking & drug-screening process before being hired, so you can trust that all the toilet repair plumbers we send are highly qualified to get the job done right, truth-worthy and safe to have in your home! Let's face it, one of the least pleasant jobs is removing an old toilet. Even the best maintained homes put a lot of wear and tear on toilets, and eventually these vital bathroom accessories need replacing. Replacing old toilets is not just aesthetically challenging, but requires careful disassembly and removal to prevent sewer water, chemicals, and disagreeable odors from contaminating your home. Instead of dealing with this disagreeable task yourself, why not contact the professionals at SWAN plumbing and let them do it for you? Every one of our licensed, bonded plumbers has the experience and equipment necessary to make toilet replacement or removal fast, environmentally friendly, and with a minimum mess. We are more than happy to tackle even the most worn out toilets, and we will make sure that your bathroom is clean and tidy once the job is finished.